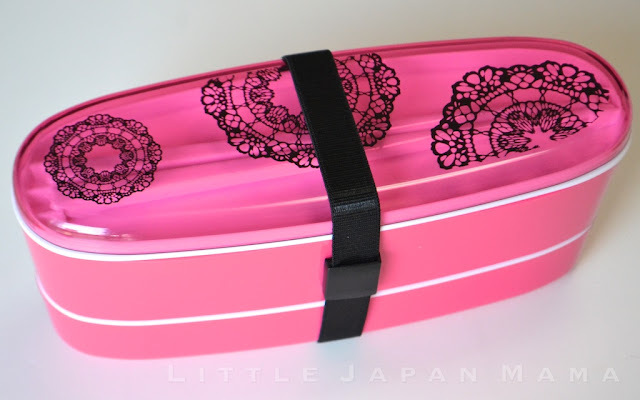 Fun, good sized bento box with all you need. To be honest, the quality is pretty basic, but so is the price. 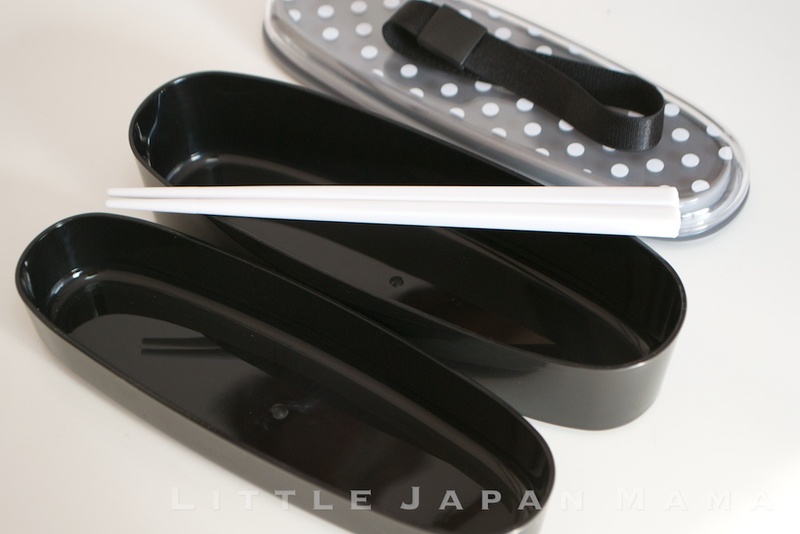 These Bento Boxes actually have three levels - a chopstick compartment, an upper box and a lower box. The upper and lower case nest together for compact storage. 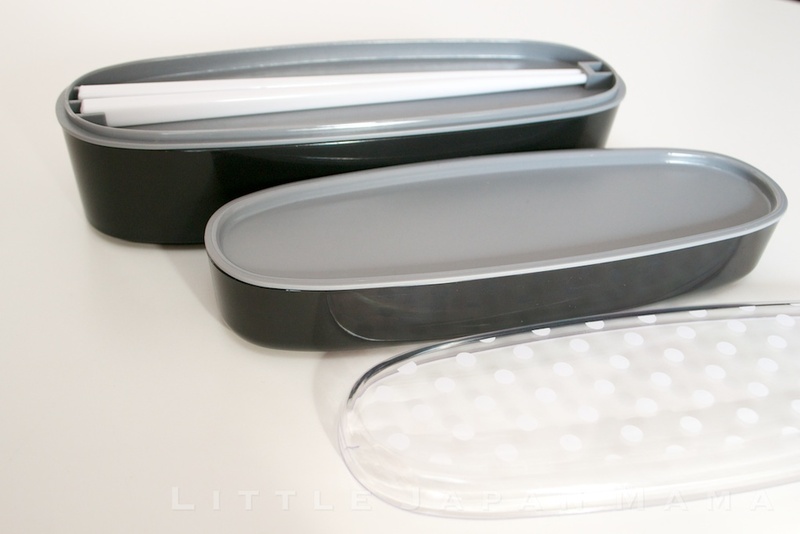 Then when you have finished your lunch, the lower box nests neatly inside the empty upper box, making it super-compact for carrying home. 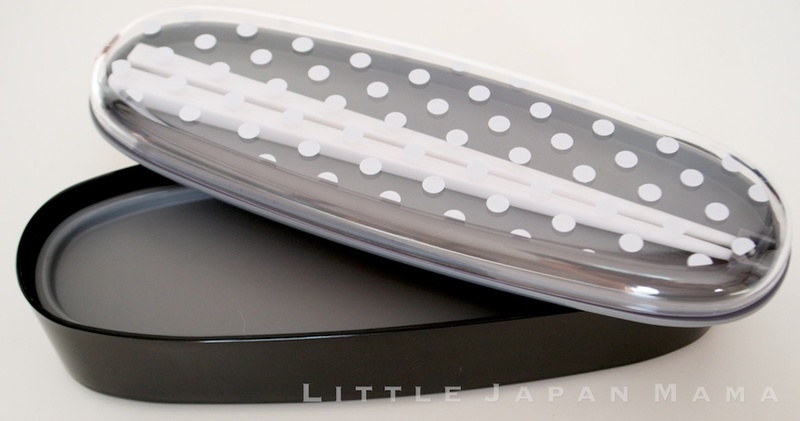 Oval 2 Tier Nesting Bento Box with Band and Chopsticks - Black Polkadot Sold Out, Sorry! The 500ml made in japan box is better quality.Generally things made in japan are better quality.